We’re super excited to announce that our offer to buy a piece of land has been accepted. We’re just waiting for the sellers to return the signed contract. It is 12 acres in Hurdle Mills, NC. Here are two pictures of the property we took in September. 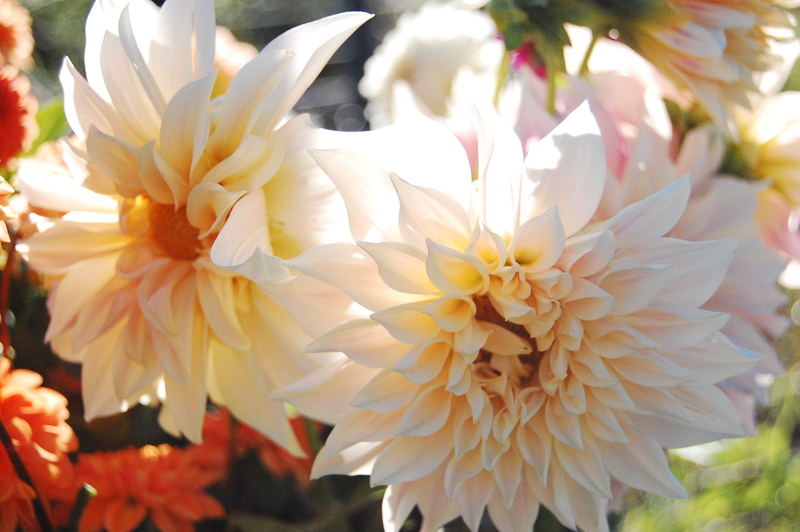 Check back for updates and for more information about our future home and the new location for Spring Forth Farm. Mr. Bingley checking out his new farm when we visited in the summer. 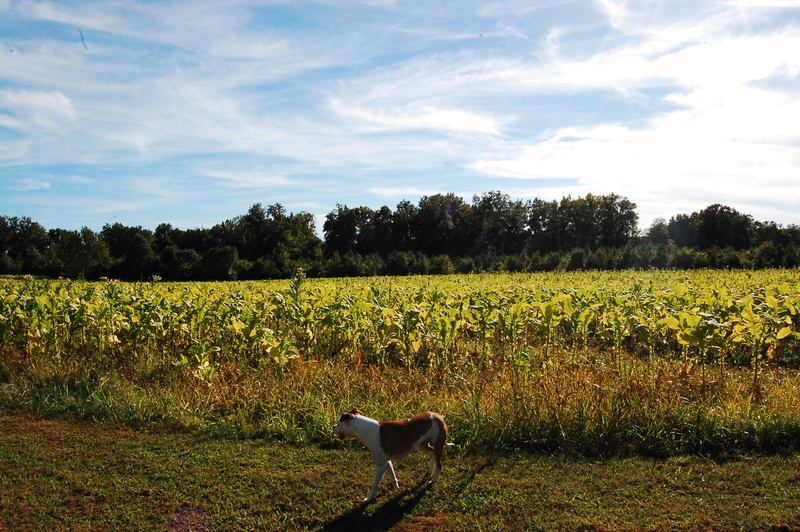 The tobacco has since been harvested. 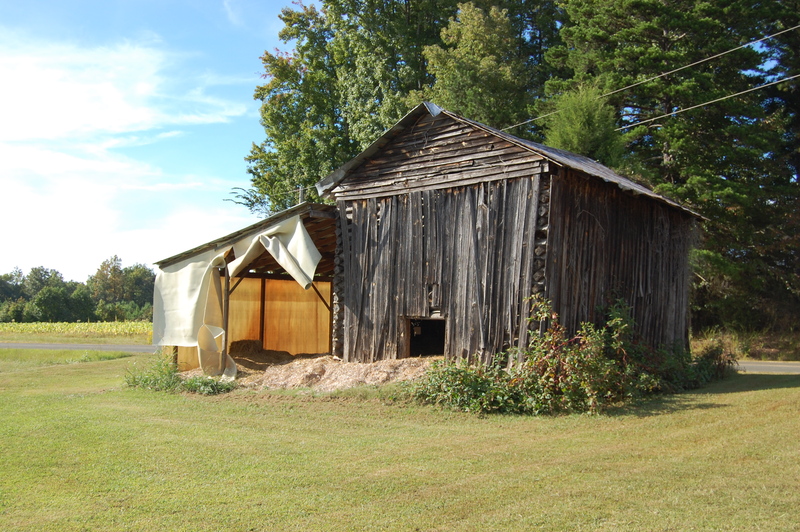 This old tobacco barn full of straw is the only structure on the property. Beautiful! I love the barn.We can’t wait to see what you do with this. Congrats!! So happy for you guys! Karen was tellling me about your negotiations last week! I”m thrilled for you. Thanks for sharing the joy! Conggratulations!!! Wishing Spring Forth Farms the best of success. From: Spring Forth Farm of North Carolina Reply-To: Spring Forth Farm of North Carolina Date: Saturday, October 26, 2013 8:56 PM To: Linda Chapman Subject: [New post] We�re Buying Land!!!! Love the land, love the couple buying and working it. Godspeed as you “dwell in the land, cultivate faithfulness,” (Psalm 37, Book of Common Prayer Version). Love this!! Congratulations to you both, and to Mr. Bingley! How happy. 🙂 I love the photos, too! Can’t wait to come visit.